A combination of 100-percent fruit and vegetable juices, creating a sweet drink that is lower in sugar than juices that only contain fruit. Organic produce is the cornerstone of our business. The Learning Farm Juicery juice blends are made from 100% organic GMO-free fruits and vegetables, 100% of the time. 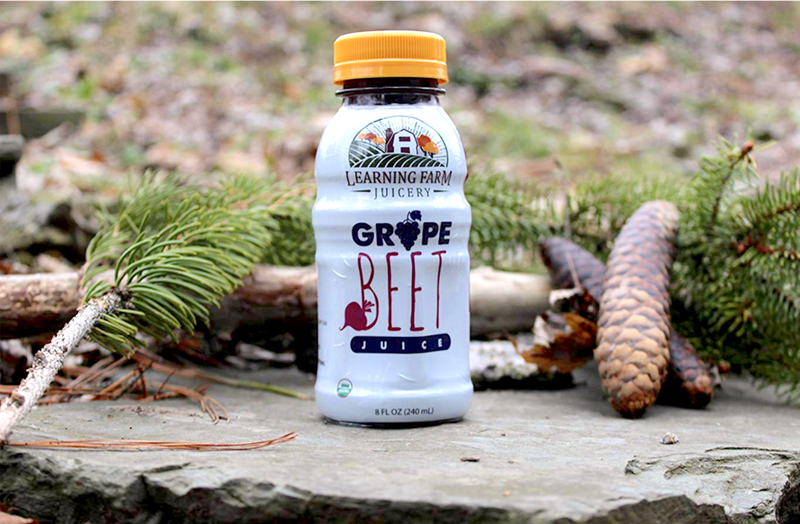 We take ordinary, pure grape juice and load it with organic beet juice. Sweet, earthy and full of iron, beets help fortify our blood supply, optimizing oxygen flow to our entire bodies. 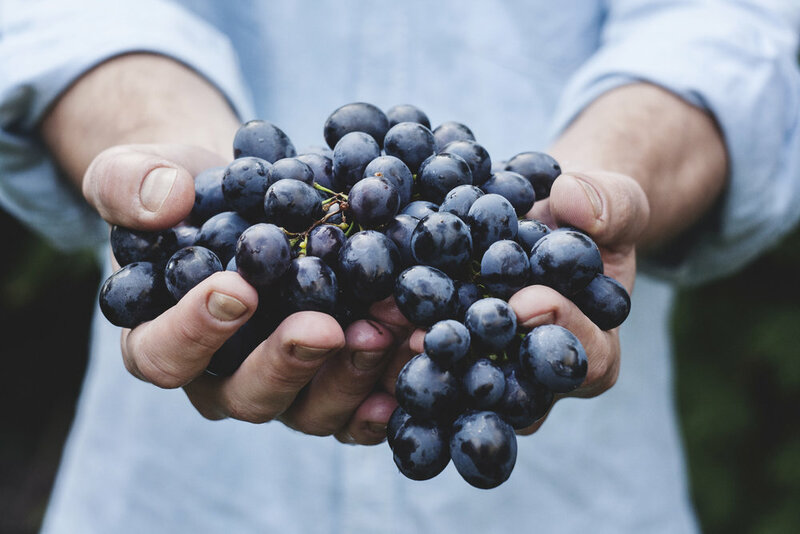 Purple grape juice is a naturally good source of Vitamin C, Manganese, minerals, as well as flavonoids (quercetin, myricetin and anthocyanins). Added to that, folic acid, potassium, vitamin A, D, and E, important for bone, eye, and skin health. What's more, one 6-ounce glass contains more calcium then a glass of milk. Grape juice is bursting with flavonoids. Flavonoids are phenolic compounds that are widespread in commonly consumed fruits and vegetables such as apples and onions and beverages derived from plants like tea. Thousands of flavonoids are distributed throughout the plant world and many have antioxidant functions. Recent research reports a range of health-beneficial effects from antioxidants in the diet. Due to the protection they confer against oxidative damage caused by free radicals and general physiological activities, they may play a significant role in preventing diseases such as cancer, and cardiovascular and neurological diseases. For example, evidence from a study in Holland has indicated that people with a measurably higher flavonoid intake have a reduced risk of heart disease compared to those who consume less.